Happy August everyone! 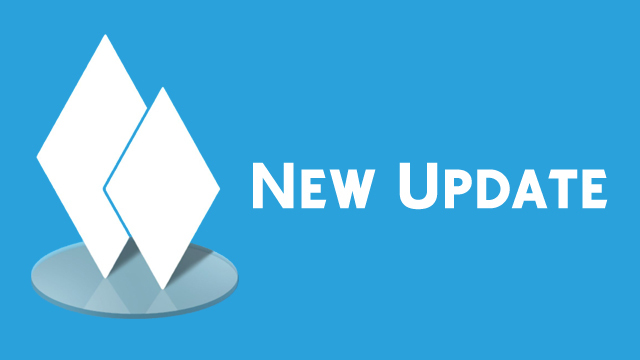 Summer heat abounds, ice cream is afoot, and it’s patch day! 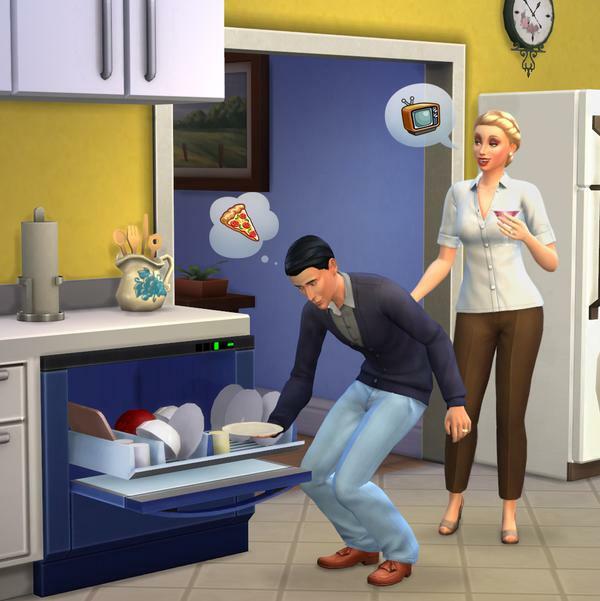 We are days away from Cool Kitchen Stuff, and delivering frozen treats to Sims of all ages! And what could be better than bowls and bowls of half-eaten, melted ice cream littering the counters and tabletops of your Sims? Ice cream cones of course! …and maybe a dishwasher to help clean up the place. 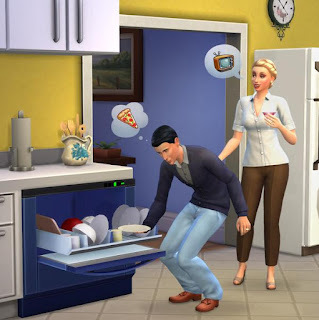 Indeed, found within the Kitchen Appliances sort, or by searching for “dishwasher”, you can add to your Sims home an appliance made for the sole purpose of washing your dishes – a Dishwasher! The dishwasher is slotted easily within your already manicured homes into any non-island counter. Scrubbing at the sink is for the powerless! Did you fix my issue? Mail will now arrive at your residence even if you are not there! No more lost packages… stolen by some hunger-need-failing Sim looking for the tart of the month package delivery. No, now your mail will safely arrive to your home… even when you aren’t there. The hunger-need-failing Sim is ok, he’ll probably just grab a bite from your fridge. Male eye colors – alligator green, gray-green, deep blue, dark grey, purple – will now properly save on male Sims both while in Create a Sim, and after exiting. Original by creator lot information will no longer be lost when a downloaded lot is modified via manage worlds and then re-uploaded to the Gallery. We fixed the issue that caused several lots to display black/missing textures as a result of overlapping roofs (most noticeable in complex roof creations, and sometimes would cause roof objects to also appear incorrectly in shadow). We hope to see your beautiful structures continue to enhance the Gallery. Searching hashtags in the Gallery will no longer reset the advanced filter settings. Search away searchlings… search away. Randomly placed poles at the park near Rippling Flats are no longer randomly placed, but instead have been purposefully removed, and will be thoughtfully considered before we once again decidedly place them in any future location. Alien ears will no longer change in size or shape as the Sim ages up. …outside of the normal “I aged up so my heads bigger” type of size and shape changes. Using the interaction “Send Neighbors Home” will now properly end the Welcome Wagon event, and send the neighbors home. Turns out, in the code, all non-played Sims are considered ready to age up at any time. Which means, whenever the code would say “I want to start an NPC hosted birthday party. Is there anyone available to host it?” The answer was always yes. Oddly enough, it also turns out that this was causing players non-played Sims to age up quite often if the player went to the birthday parties they were invited to. We’ve fixed the availability for non-played Sims to host their own birthday party to properly check against their age. Cereal is no longer grungy looking and unappetizing, but is now vibrant, colorful, and quite appetizing. And as a cereal lover of many varieties… I have to say I agree with the vibrancy. Custom music tracks will no longer choose to play silently for no apparent reason when listening to them on the stereo. However, I have to wonder if it was just the game deciding it didn’t like a particular track. Sims shadow detail once again includes extremities and not just an odd blob beneath their feet. Because Sims are more than just blobs to us… they are arms, legs, and the whole package. *sniff* bring it in here big guy… I’m feeling a hug coming on. Sims will no longer reset when attempting to clean up spoiled food in their inventory while in a hot tub or pool… because it’s completely normal to carry spoiled food in your pockets when you go swimming. You don’t mind if I respectfully decline that pool party you were inviting me to, do you? Sims will no longer reset when attempting to resume eating a garnished chocolate covered strawberry, caramel covered apple, or cheese dipper. Great… now I’m hungry. Sims who are cuddling in a Hot Tub, will no longer leave their intimate positions to awkwardly ask to woohoo from a friendlier position, only to get back to cuddling before then secretly slipping beneath the jets. Applying the hair best described as ‘Swept Frosted Black’ to a child Sim will now actually give the child black hair… and not some other randomly selected hair color. Note the following tuning Change: Teleportation from stools has been moved from level 5, to level 7. Restocking a multi-object (like the drink tray) while a 3rd object (like a chair slotted into a table) was blocking the restocking, was resulting in a partial object restocking but a full charge for the restocking. Restocking should now fully restock an object, whether or not another object was blocking the restocking.